In 2014, Bentley’s first year of Blancpain Endurance GT3 competition, the British manufacturer won twice (at Silverstone and Paul Ricard), but a poor Spa 24 saw the #7 crew of Steven Kane, Guy Smith and Andy Meyrick finish 36 points adrift of Audi’s Laurens Vanthoor, who won the title solo due to shifting driver line-ups at WRT. 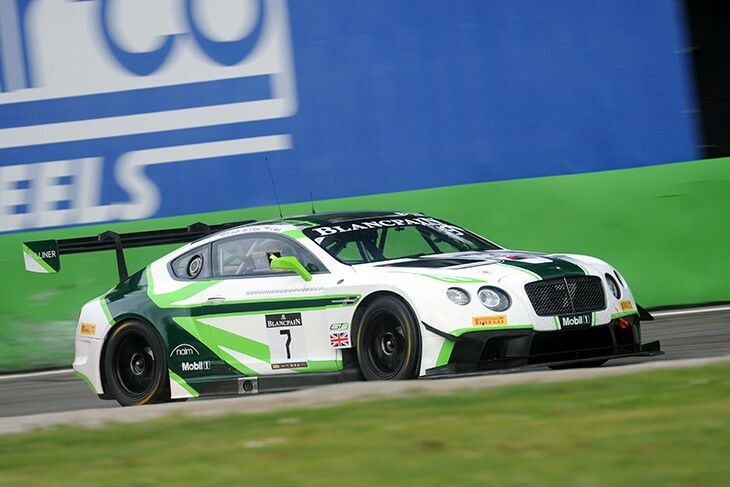 There were no wins for Bentley in year two, but a consistent campaign ended with the same #7 line-up finishing just four points behind Nissan’s victorious trio of Alex Buncombe, Wolfgang Reip and Katsumasa Chiyo. 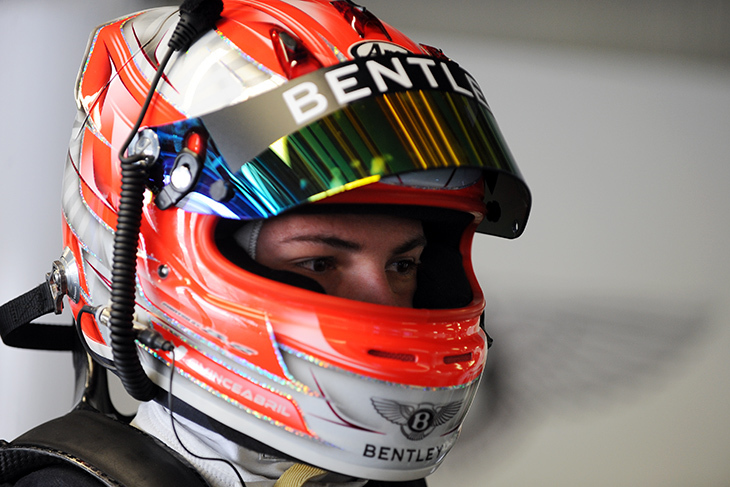 For 2016, Meyrick has departed the #7 line-up in favour of young Frenchman Vincent Abril, fresh from winning the 2015 Blancpain Sprint Series title in a HTP Motorsport-run Continental. 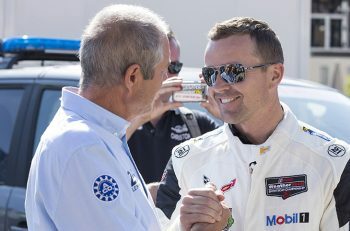 Despite the apparent ‘make or break’ nature of this year’s campaign, Smith said there’s been no major rethinks over the winter, just a determination to eliminate mistakes and mishaps that may have cost points or positions in the past. “First off, we have a new team-mate in Vincent, who had a lot of success in a Bentley last year, so that’s good,” the 2003 Le Mans winner told us after free practice at Monza on Saturday. “The GT3 rules obviously limit what you can do in terms of development, so we have no big changes or upgrades. We have setups for every circuit now, so we’ll be looking to fine-tune those to perfection. “Mainly we just want to minimise mistakes. Over the past two years, we’ve never really been the quickest car over a single lap in a qualifying situation, but generally races have come to us over the three or six hours. That’s been our strength, but we’re very aware the competition has taken a step forward, with the new cars from Audi, Mercedes and BMW, so we’ve got to be even more on top of our game,” reckons Smith. Smith reckons the approach taken in the brand’s second season should continue to pay dividends. “Although we won those two races in year one, our strategy for year two was that of course we’ll take any win that comes, but we needed to be consistent,” he says. 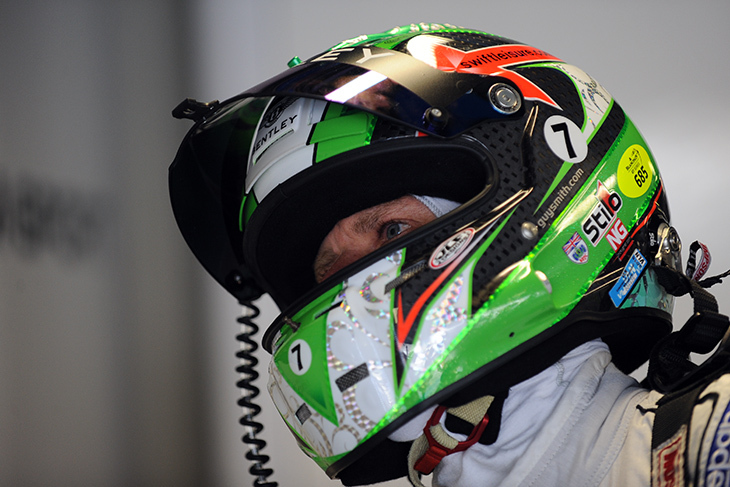 “We were fifth at Monza; we would have been first or second at Silverstone were it not for a wheelnut problem; second at Paul Ricard; had a crash at the Spa 24 and then second at the Nurburgring. We missed the title by four points, so you can see how it could have gone to us. “It’s not as exciting a route to the title as taking victories on the way, but in a series as competitive as this, finishing second, third or fourth all the time will put you in a position to win. So this year it’s more of the same. 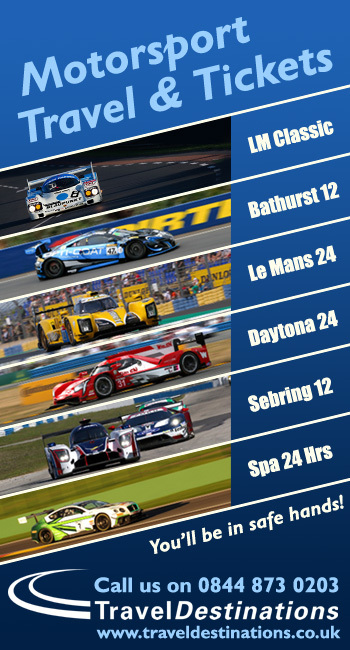 Certain tracks will favour certain cars, but we have to aim for the top five every weekend. At the other end of the career spectrum to Smith sits his and Kane’s new co-driver Abril (above): just 21 years old, but already with three seasons of GT3 racing under his belt (French GT with Team Speed Car Audi in 2013, Blancpain Sprint with WRT Audi in 2014 and a title-winning season in the same series with HTP Bentley last year). Although he was a late starter in karting at the age of 14, Abril wasted no time making up for his lack of experience and, showing good foresight, elected not to chase the F1 dream that bewitches so many. Abril was just 15 when he joined the grid of the French SEAT Leon Supercopa series, but he quickly got to grips with tin-tops and won three times in his second season. Then came the French GT drive (with the same team that had guided him through SEATs). Wins in that campaign put him on Audi’s radar, which led to the WRT drive 2014. Following on from that was the opportunity with HTP, which put him on the road to this year’s works Bentley drive. For Abril, the M-Sport drive brings with it a sense of stability. “It’s mostly about doing the job now, rather than chasing around to get the job,” he observes. “I wouldn’t say it’s less pressure, I’d say it’s a different pressure. To make it to this level is really hard and to stay here is even harder, but I’m enjoying it. “I was so happy to be teamed up with Guy and Steven. 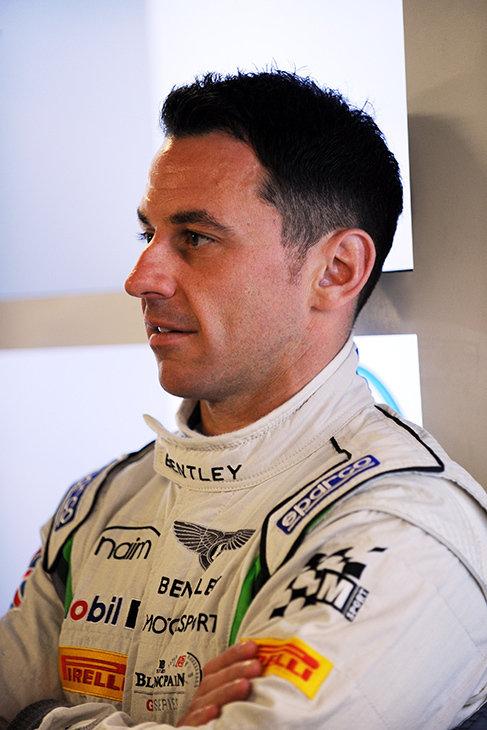 I think it really shows Bentley’s faith in me, because, I wouldn’t say there’s a number-one or number-two car, but the #7 crew are the ones who’ve got the results in previous years and they’ve been there since the beginning. The #7 crew face a tough challenge in Sunday afternoon’s Blancpain race, lining up 35th on grid, more than few rows behind their team-mates Wolfgang Reip, Andy Soucek and Maxime Soulet in the #8, which qualified sixth.